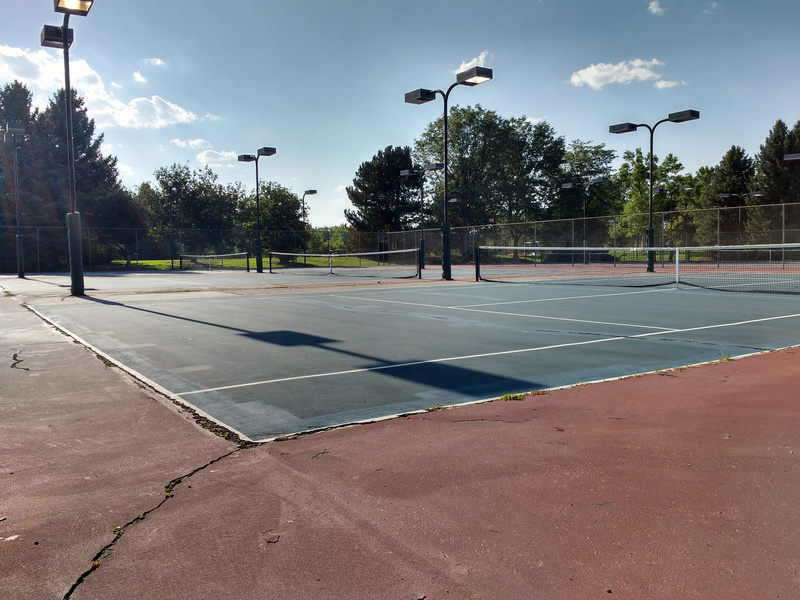 Free high resolution photo of empty tennis courts at a park. This picture shows three tennis courts with lights. The courts are empty. Free photo for any use.